Walk to ocean, beach side lot located East of A1A Beach Blvd in the heart of St. Augustine Beach. Commercial zoning, West of Coastal Construction Zone. 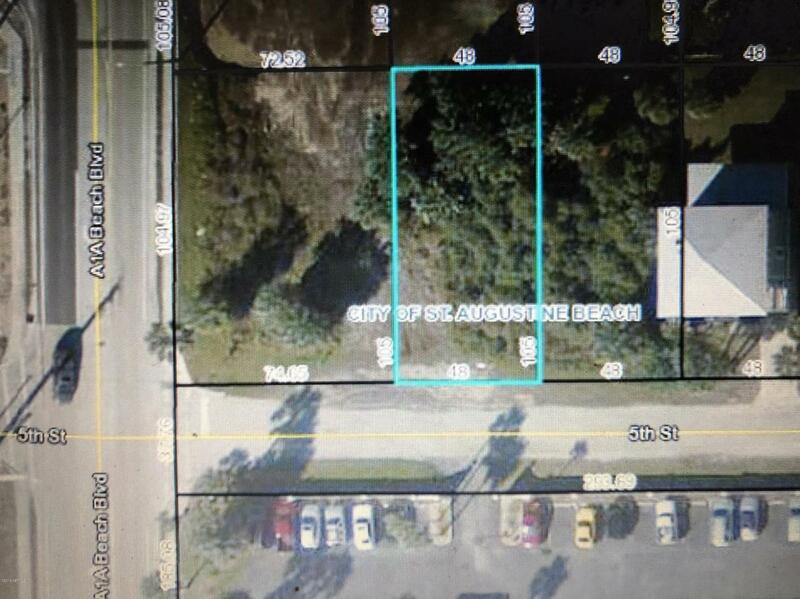 One lot off of A1A Beach Blvd, and walking distance from the Marriott Courtyard Hotel . Lots of potential for business visibility with both walking, biking, and driving traffic in this location!